I just spent the entire weekend in the city with one of my favorite people in the world, my little sister. I popped on here quick to share this amazing look that we shot over the weekend. 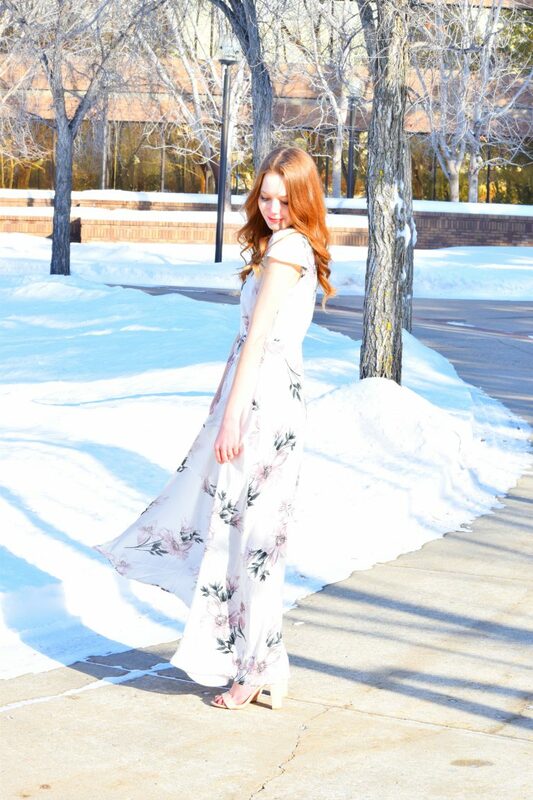 I am SO excited it’s almost Spring and I am ringing in the season with this gorgeous maxi. 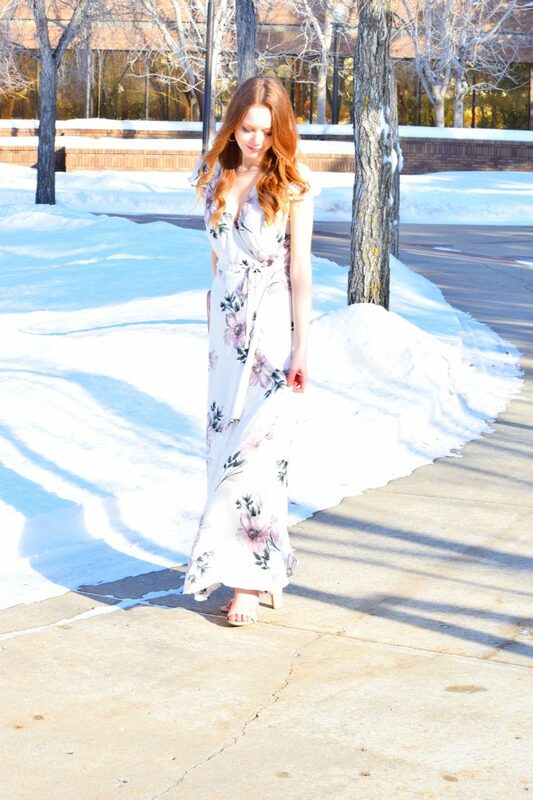 I assembled an assortment of beautiful maxi wrap dresses below as well as the exact one I am wearing. I accessorized with a feminine rose bow clutch and ankle strap pumps. 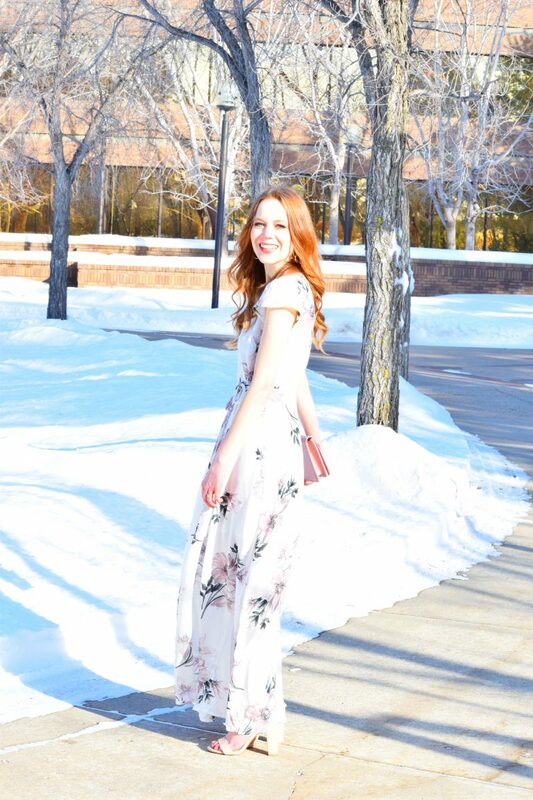 The shoes I am wearing go with every dress that I own and the clutch is a beautiful tone for Spring and Summer. Don’t you love the bow? Thank you so much. Yes, they do, hehe. I have a hard time waiting for Spring to catch up here in Saskatchewan.